I think I am a bad parent as I download all the games on the boys Ipads for them and I didn't know they had this game already on their Ipads - in my defence though they have a lot of games and I always make sure I read the descriptions and if they are age appropriate before I say yes. 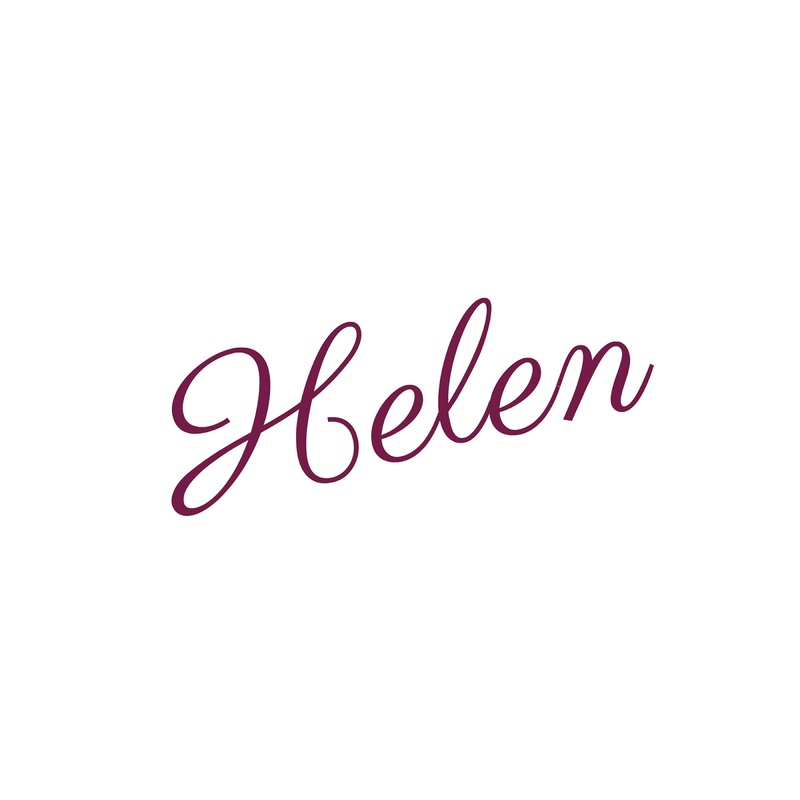 Embarrassing to say when I received the e-mail about collectable Slither.io creatures and bendable plush toys I asked the boys and there reply was yes please mummy we already play that game much to my surprise! I got the boys to give me a demonstration of the game and had a little play myself. 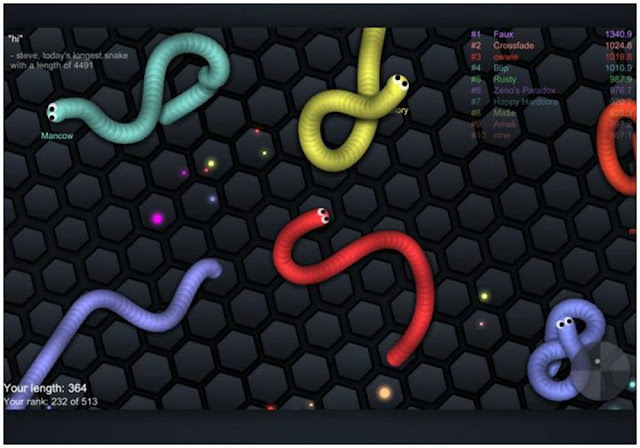 Slither.io is a huge gaming phenomenon - much to my surprise statistics show 60% of British 0-14-year-olds have downloaded Slither.io and 124 million are played a month in the UK so clearly it is a lot more popular than I first thought! 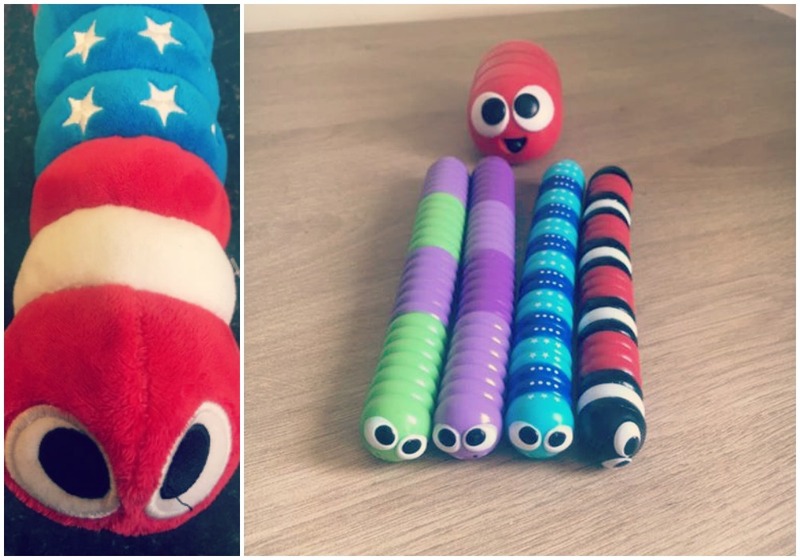 A range of collectable toys and has just been launched here in the UK, they have been created with unique and recognisable colourful features which match up to the game - these toys include collectable Slither.io creatures and bendable plush toys which are must-have toys for slither.io fans across the country. We received one of the series blind bags a mystery mini squishy Slither.io, a slither three pack of bendable assortment and a brightly coloured slither 8"Bendable Plush. The blind bag is exactly what it says it is you don't know which slither is in it until you open it there are 15 in the series to collect including 3 rare ones and one ultra rare. The mini-mystery slither.io squishy - again is a mystery which one you receive until you open the packet we got one with a red skin, however, there is a wide selection of skins to collect as there is in the actual game. 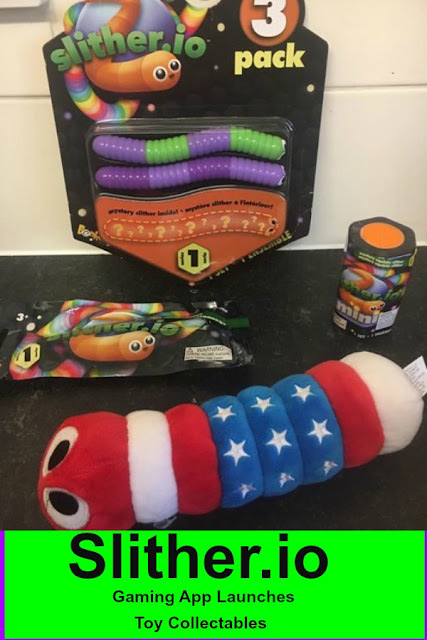 Last but not least is the 8" Plush slither it does look a bit like a caterpillar but the boys really liked this and all of them were asking if I could get them one each there soft and cute and cuddly. 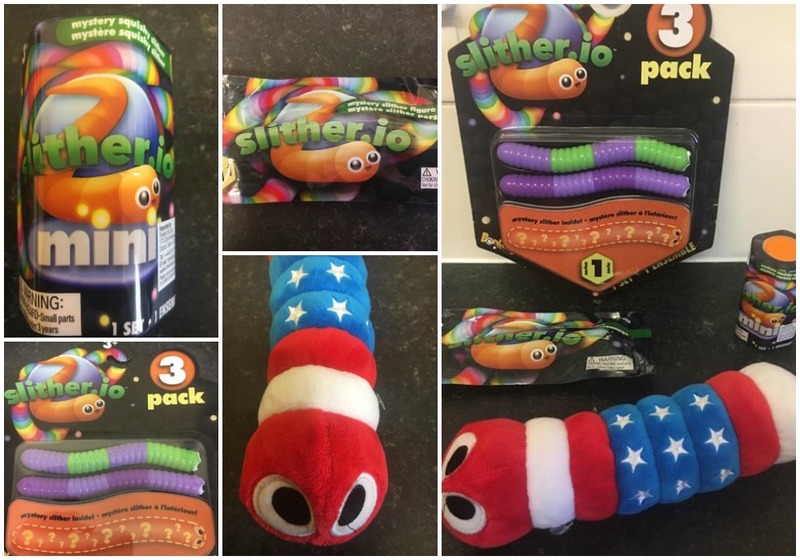 The new Slither.io toy range includes the Slither.io blind bag collection which includes collectable, bendable slither creatures, including rare and ultra-rares £3.99. Mystery mini Slither.io Squishies, fun to play with squashes that come in hexagonal pots £3.99. Slither.io bendable 3-pack with two mystery slithers £10.99. The 8” bendable Slither.io plush which is both cool soft and cute £9.99. I can see why the game has become so popular and appeals to children with the app being free to download it is a massive gaming phenomenon there have been 12 billion game plays in the last twelve months alone - The new toys compliment the game really well and with them being at low affordable prices I can see them becoming very popular with kids they would also make for great stocking fillers and gifts this Christmas.